Travelling - It leaves you speachless, then turns you into a storyteller. 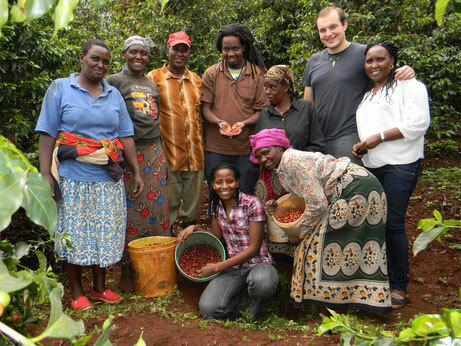 ... and experience with how much heart the coffee farmers in Nyeri County, Kenya produce their fantastic coffee. Through this partnership with the farmers, the roaster will be able to deliver the highest quality of Kenyan coffees. The farmers have the opportunity to develop, network and exchange their great experiences in the cultivation of coffee enabling them to find solutions in the constantly changing economic world. Price: € 20,00 incl. one coffee of choice and a selection of delicacies. 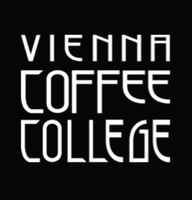 Venue location may differ, in Vienna, depending on number of participants! 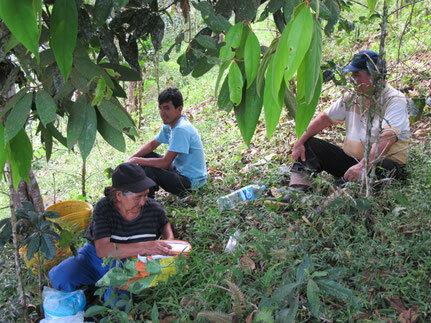 Almost the entire Peruvian coffee is cultivated by small farmers in forest areas. The province of Chanchamayo is known for its excellent products, including, our Peru PachaMama. Immerse yourself in the world of the Incas and Alpacas and experience a first-class strong, slightly fruity espresso or an exceptional filter coffee with chocolate and almond notes.